Diamond Weight: 1.9 ct. tw. 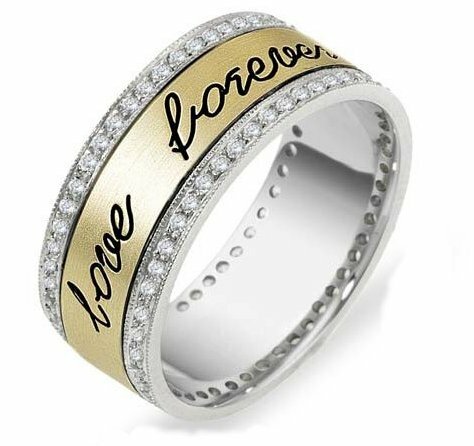 18K two tone gold, 8.5mm wde, comfort fit diamond eternity ring. The center can be engraved. Diamond total weight is approximately 1.90ct in size 6.0ring. Diamonds are graded as VS1-2 in clarity, G-H in color. Wedding Bands.com satisfied all my needs. Quality service and fast shipment meant a lot to me. My ring was exactly what we ordered. Its a modest gold ban very comfortable and well-fitting. It was packaged very well in a small pouch which was in a plastic bag which was then in 2 outer envelopes. Im very happy with the whole purchase and delivery. Very happy with the bands I purchased! They are perfect. I had looked at local retailers but found the price quality and timing were better with you. The engraving was an added plus. Thank you! This will be the second ring Ive purchased for my husband. He had the last one stolen from him. The 2 rings Ive purchased were quality bands and I loved the variety weddingbands display. 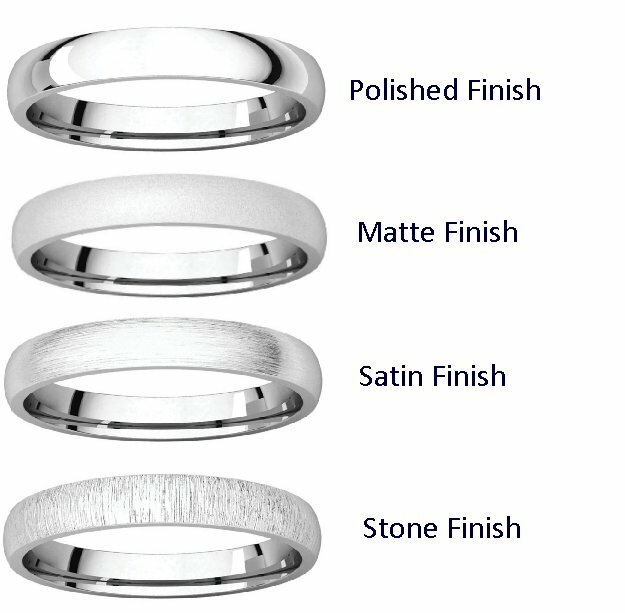 You cant beat the price when it comes to the engraving and sizing. I just purchased myself a diamond band from Jareds had to pay extra for sizing and engraving. Over $100 for both. Order will be received in a timely manner as well. Great buy and site to do business with. 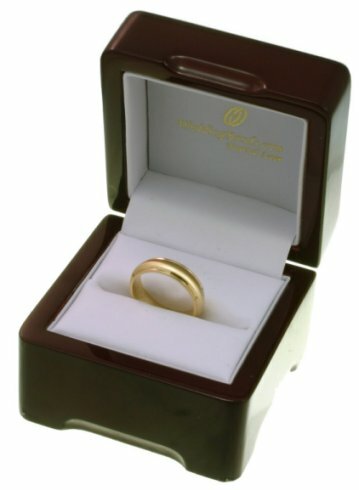 Just wanted to say I was very happy with the service provided by WeddingBands.com. They were very helpful and supplied me with a beautiful ring at a good price.